Here’s a way to have some jigsaw fun without losing a single piece! 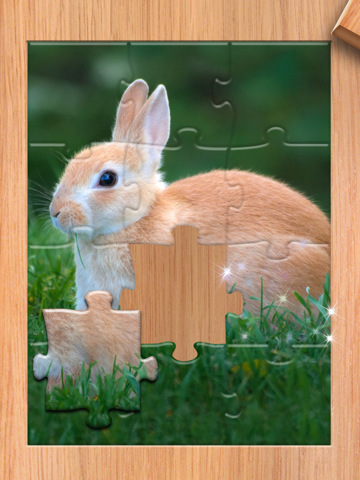 Jigsaw Junior is a jigsaw puzzle game designed for the iPad. You can choose how many pieces you want your puzzle to be and there’s a range of included animal pictures to make into puzzles. 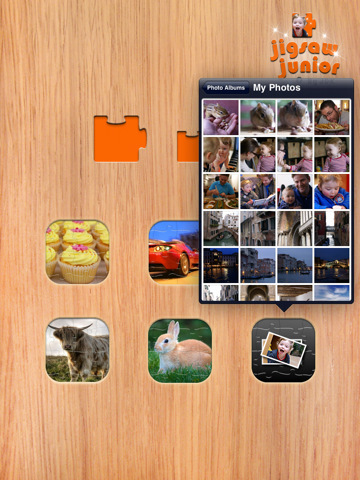 What makes Jigsaw Junior really fun is access to your iPad’s photo collection. 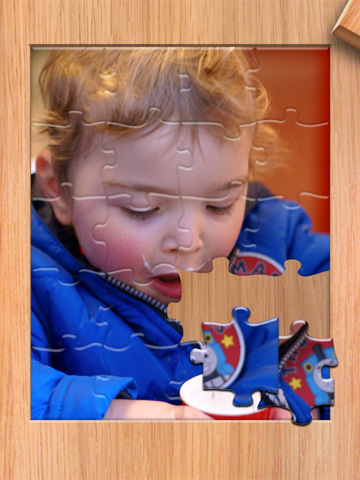 Turn any photo into a puzzle – we all know how much little kids like looking at themselves! It’s simple but clever as you’ll never be short of a new puzzle challenge for your preschooler again. Think about using photos of rooms in your house, people you know and even your child’s favourite toys. Jigsaw Junior is available via iTunes for $3.99. Check out our previous reviews of iPad apps here.